The past few sunny days have seen me reaching for my sunglasses which stay in my car for the majority of the time. As a huge fan of accessories and as an optometrist, (ophthalmic optician) by profession, it may come as a surprise to learn that I have just one pair. A pair of navy wayfarers, that I wore for the first time in months last week. Because I’m an optometrist, the clinical aspect has always been as important as the cosmetic. Sunglasses must afford sufficient protection from damaging ultra-violet rays. Look for a European CE mark or British Standard BSEN 1836:2005 to be sure they are as functional as they are stylish. category to see which looks and fits better. There are five face shapes on this graphic but I think there is another one, long/oblong that has been omitted. I have added this at the end of the post. Oval faces have gently rounded, even features and almost all frame styles will suit. Choose sunglasses that cover the face from the eyes to the cheekbones. Round faces have noticeable curves and few defined angles. 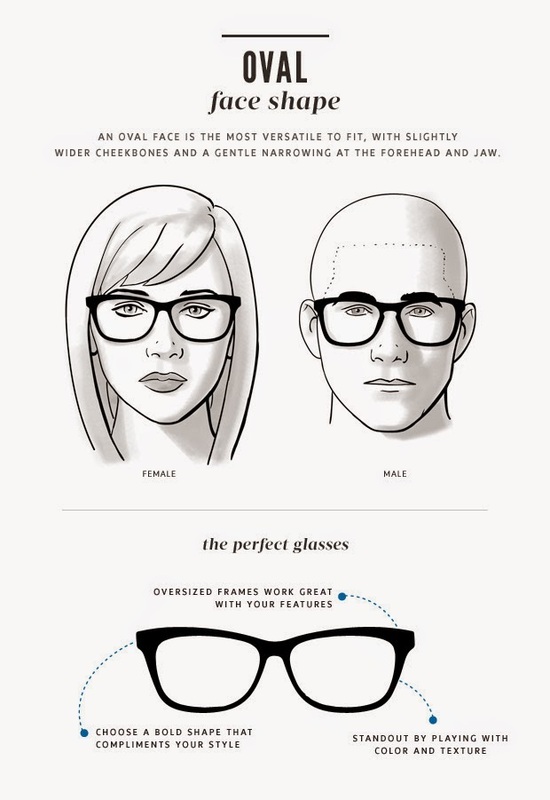 The ideal frame should lack curved features and have angular lines to help elongate the face and make it look thinner and sharper. Square faces are generally about the same length and width across the face and are characterised by a broad forehead and a strong jawline. 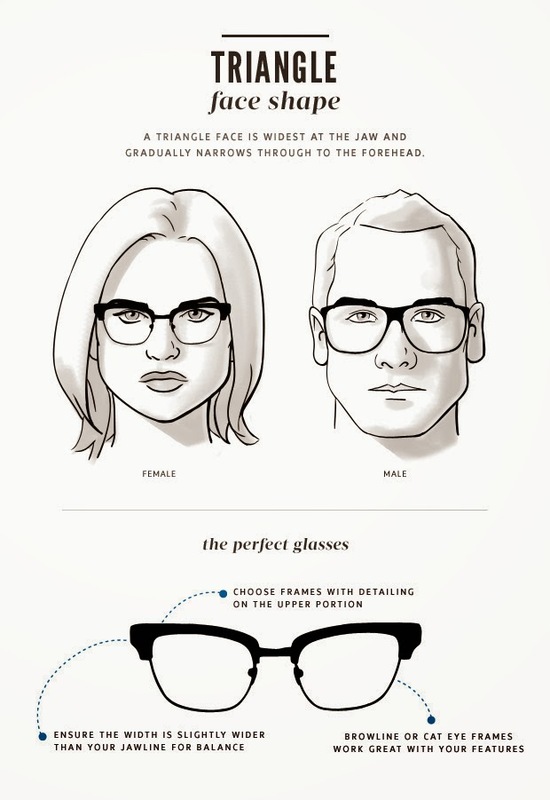 This category should choose a frame with rounded or oval lenses to soften the sharpness of the features for a more balanced look. An aviator frame is very flattering. Heart shaped faces are are widest at the temple and narrowest at the chin. Sunglasses with wide lower edges without straight lines work well for this group because they shift the attention downward and elongate the face. 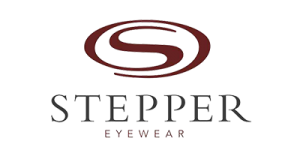 Cat-eye styles or frames with rounded edges are ideal for giving the wearer a more balanced look as are aviator and rimless frames. 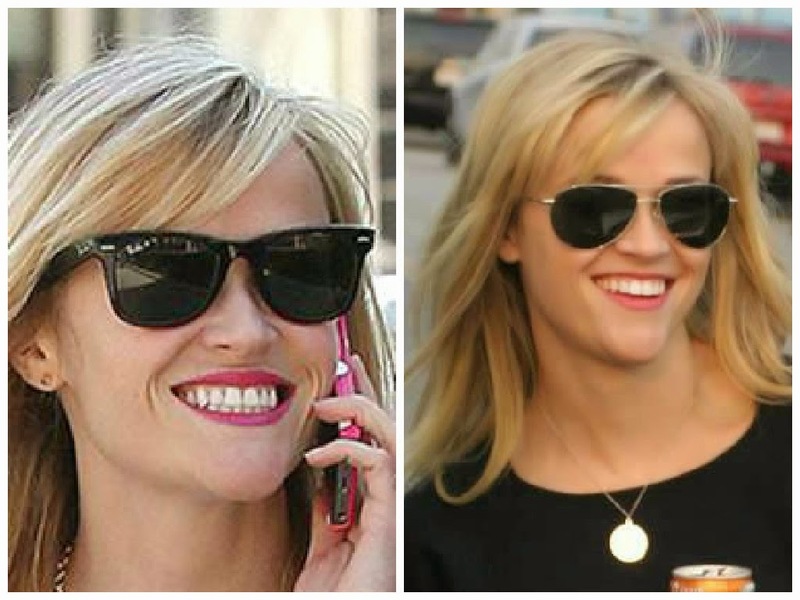 Reese Witherspoon balances her heart shaped face with wayfarer and avaitor styles. Diamond-shaped or Triangular faces are characterised by a narrow jawline and forehead with the cheekbones forming the widest part of the face. 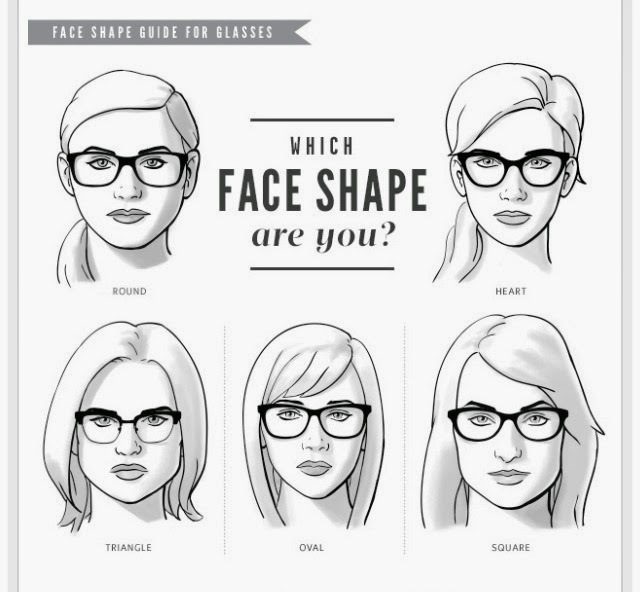 Oval and rimless frames compliment high or wide cheekbones and should not be wider than the wearer’s cheekbones. Oblong or rectangular faces are long and narrow. Oversized sunglasses suit particularly well and larger wayfarer or rectangular lenses with thick frames will add width to a long face. Sunglasses that have deep lenses give oblong faces an edge and sharpen soft features. 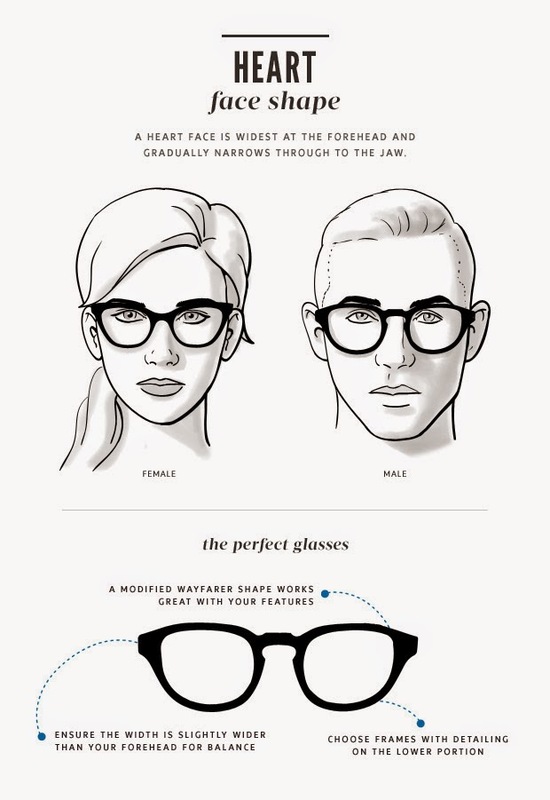 Wraparound and rectangular frames will ensure the wearer turns heads. Sarah Jessica Parker balances her oblong face with wide, oversized frames. It isn’t an exact science so it’s well worth trying on several different styles. Step out of your comfort zone. You never know, you may find the perfect pair! 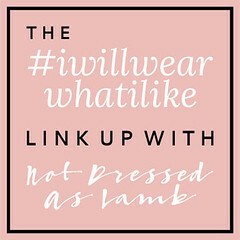 For more inspiration, take a look at Pinterest which is where all of these images were taken from, unless otherwise stated. And my friend and former colleague James has lots of gorgeous pics and inspo for all types of spectacle frames on his Facebook page, 7 Shades of Serendipity.